Spring Cleaning Tips – Don’t Forget to De-Clutter! If you are about to embark on a job that involves getting rid of debris, before you get started, the first thing you’re going to want to do is rent a dumpster. 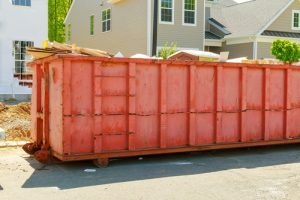 A dumpster rental can make your project go a whole lot smoother. It provides you with a definite space to get rid of your waste and debris, and it’s super convenient. You won’t have to contend with a huge pile of rubbish sitting on your front lawn as you wait for your waste removal company to pick them up. Once the dumpster is full, all you have to do is call the company you rented it from and they will take it off your hands. However, while renting a dumpster is certainly beneficial, there are some things that you want to keep in mind before you just order one haphazardly. In order to ensure that your dumpster rental experience is as efficient and successful as possible, make sure you consider the following information. You are going to embark on a landscaping project that involves removing shrubs, trees, or even patios or fencing. You are a contractor or a homeowner who is planning on doing a renovation, such as a bathroom remodel or finishing a basement, and need a way to dispose of all the waste materials. You want to clear out the contents of an attic, a basement, or even an entire house. You will be renovating a foreclosed property so that you can either sell it for a profit or live in it. You have amassed a large number of bricks, concrete, or other items that your garbage removal company won’t collect. All of the above are ideal situations for a dumpster rental. However, while they all involve getting rid of waste, they are slightly different in that they all involve different types of refuse. Junk removal companies follow different rules and regulations regarding what they will and will not allow to be placed in their dumpsters. Some companies simply follow local laws, while others set their own restrictions regarding the type of materials they will accept. 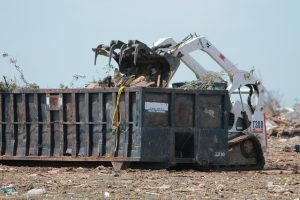 For that reason, it is important that you check with the company you are thinking about renting a dumpster from to ensure that they will accept the items you need to dispose of. 10 yards. A container of this size can accommodate up to 10 cubic yards of waste. Typically, they are 12 feet long by 8 feet wide and are 4 feet high. This size is would work well for a project that involves cleaning out waste from a garage or a small attic or basement, debris from a yard, or a small bathroom or kitchen renovation. 20 yards. This sized dumpster will hold up to 20 cubic yards of material and typically measures 22 feet long by 8 feet wide, and 4.5 feet high. This is an ideal size for the clean out of a larger attic or basement, the removal of carpeting in a large home, or the shingles from a large roof. 30 yards. With this container, you will have 30 cubic yards of space for your debris. It usually measures 22 feet long by 8 feet high and is 6 feet high. This size would be suitable for a major home renovation, the construction of a new home, or the demolition of an outdoor structure, such as a detached garage. 40 yards. This size dumpster can hold up to 40 cubic yards of waste. The measurements are typically 22 feet long by 8 feet wide, and the height is usually 8 feet. The removal of siding or windows from a large sized home or the roofing from a commercial building are projects that a container of this size would be suitable for. When it comes to renting a dumpster, try to avoid choosing a size that is much bigger than what you actually need. Many people assume that it’s better to have more space, just in case; however, if your project only requires a 20-yard dumpster and you rent one that’s 40 yards, you’ll be paying for much more space than you actually need. If you aren’t sure what size container is best for you, ask the company you are considering. They can guide you in the right direction. Lastly, you want to make sure that you have space where the dumpster can easily be accessed. Ensure that the location you plan on having the dumpster situated is close enough to the area where you will be working. If it’s too far away, you’ll have to deal with lugging the materials a far distance. Additionally, you want to make sure that the area is unobstructed so that the rental company can easily drop off and pick up the container. 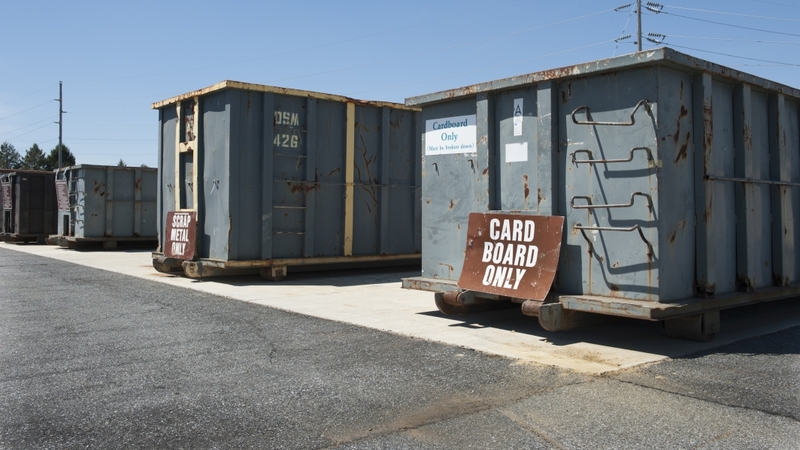 When it comes to renting a dumpster, there are a lot of options available. By taking the above into consideration, you can choose the best option for your needs and ensure that renting a dumpster will go as smoothly as possible. Previous Previous post: Moving? Use These Tips to Keep Your Sanity!